Once you will arrive at the Bandaranaike International Airport, you will get escorted to Kandy. On the way, visit the Pinnawela Elephant Orphanage. Check in at hotel on arrival in Kandy and enjoy sightseeing. Many of the legends, traditions and folklore of Kandy are still kept alive. Visit Kandy Lake and the local market, Temple of the Tooth Relic, Kandy town, gem museum, the Arts & Crafts Centre and a lapidary. Later enjoy a cultural performance. Visit the Royal Botanical Garden at Peradeniya. 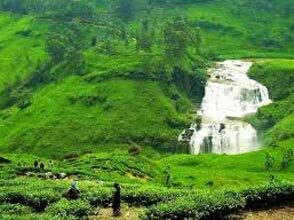 Later proceed towards Nuwara Eliya and visit a tea plantation en route. On arrival, check in at a hotel and enjoy a city tour. At the tea plantation and tea factory, observe the process of making tea. You can also see how tea is graded and taste a cup of pure Ceylon tea. 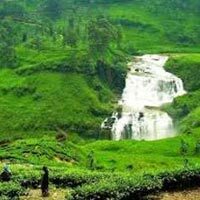 During the tour of the Nuwera Eliya enjoy the mountain scenery and golf courses. Night halt at Nuwera Eliya. Have breakfast and leave for Colombo. Explore the city on arrival after check in at hotel. The tourist hotspots of Colombo include a visit to clock tower that is around 100 years old. You will also visit a number of colonial buildings, erected during the British era. Other attractions are Pettah bazaar, a temple of Buddhist followers, posh residential areas, Colombo museum, Bandaranaike Memorial International Conference Hall, the new Parliament and Dutch Museum. Overnight stay in the hotel in Colombo. Proceed to the Colombo airport after breakfast at the hotel as the Sri Lanka Delights tour comes to an end.